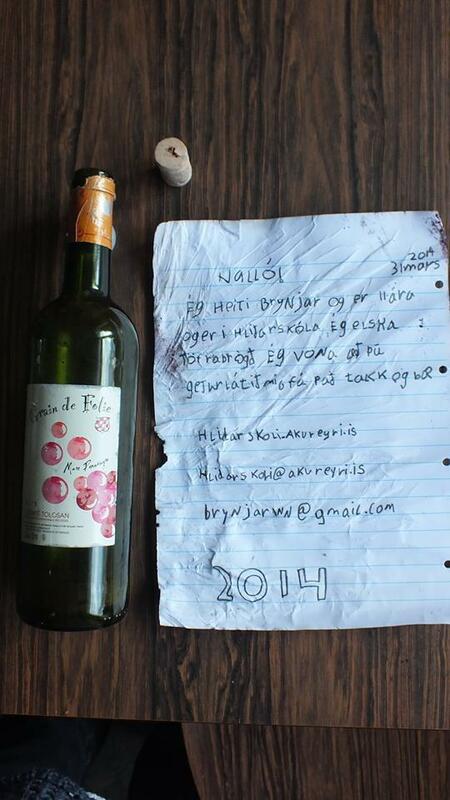 Last week, a Dutchman found a message in a bottle from an 11 year old Icelandic boy from Akureyri. The man, Rikie van Uden, found the bottle with the rolled up piece of paper in his hometown of Wijk aan Zee in Netherlands on the February 12. The message was put in a bottle by a boy named Brynjar back in 2014. It seems have been a school project, as he quotes the website of his school, Hlíðarskóli, and the email. Mr. van Uden wrote to a small pub in Akureyri on Facebook and asked if anybody knew the boy. “Hello everybody. I am looking for Heiti Brynjar. We found a bottle with a letter in it, on the beach in netherlands. Look at the picture. I hoop somebody now this person,” writes van Uden.